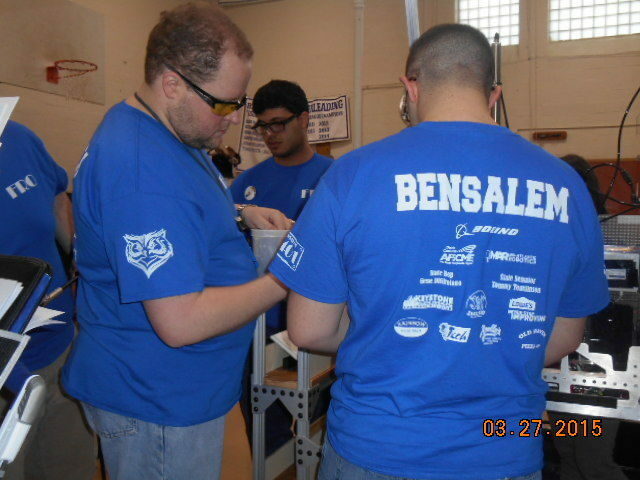 "Bensalem robotics team wins top rookie award at district competition"
"Bensalem High robotics team captures top rookie seed in district competition"
"Bensalem students have ‘high hopes’ for robotics challenge"
The Recycle Rush℠ field is 27 feet wide and 54 feet long. Each match features two opposing alliances, each with three robots. The field is bisected by a small step which may not be climbed on or crossed by the robots. The drivers’ stations sit on either end of the field, with a human-player loading station in each corner of the field. The game pieces are Gray Totes, Yellow Totes, green Recycling Containers, and color-coded pool noodles, or Litter. 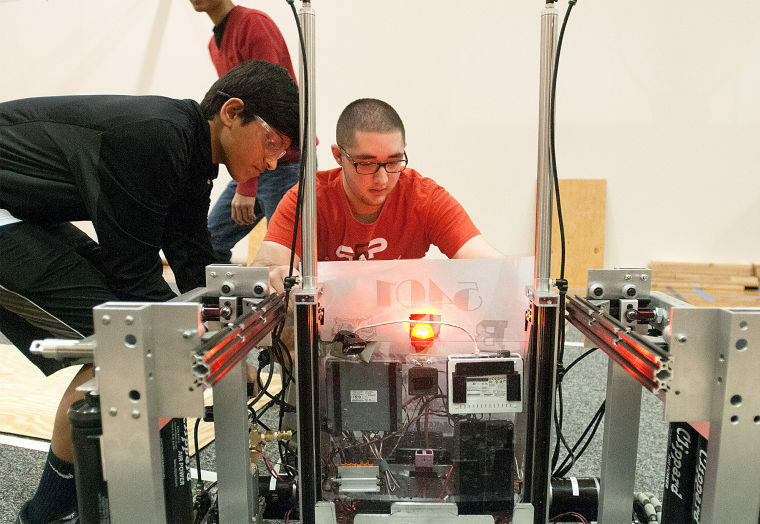 Alliances compete simultaneously to score points by stacking Totes on Scoring Platforms, capping those stacks with Recycling Containers, and properly disposing of Litter in designated locations. Each match lasts 2 minutes and 30 seconds. 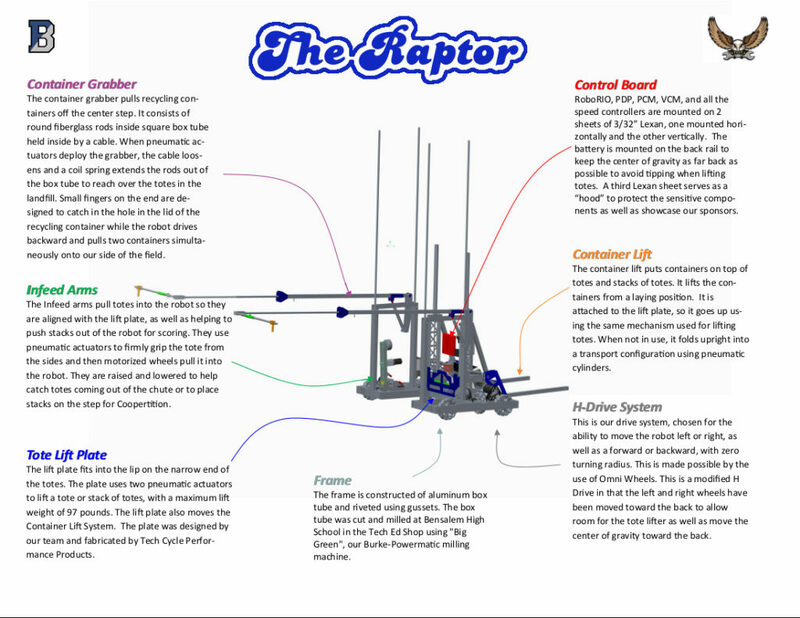 The first 15 seconds are referred to as the autonomous period; the robots move using pre-loaded instructions. After this period ends, the rest of the match makes up the teleoperated period; the drivers and operators manually control their robots over radio signals, and continue doing this until the match ends and the signal is terminated.